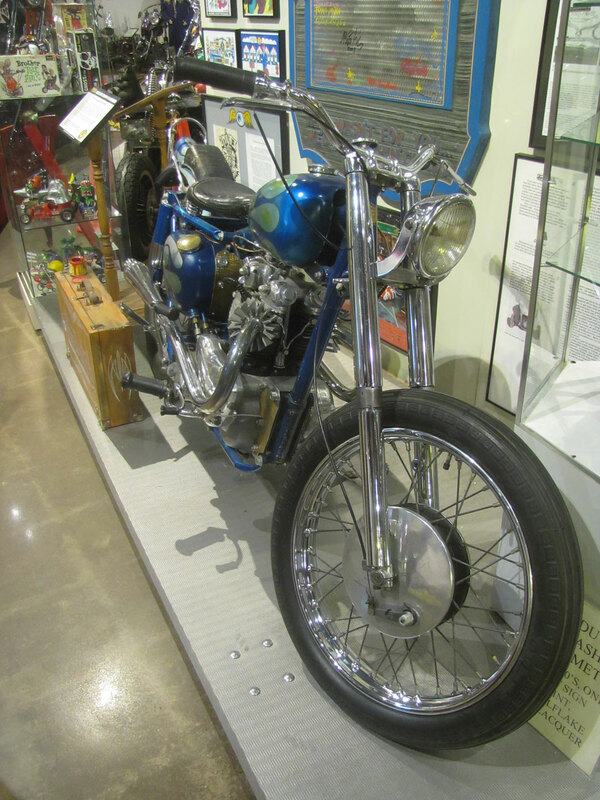 A young man in Los Angeles named Ken Howard began tinkering with his Indian Scout “bob-job” in 1946. 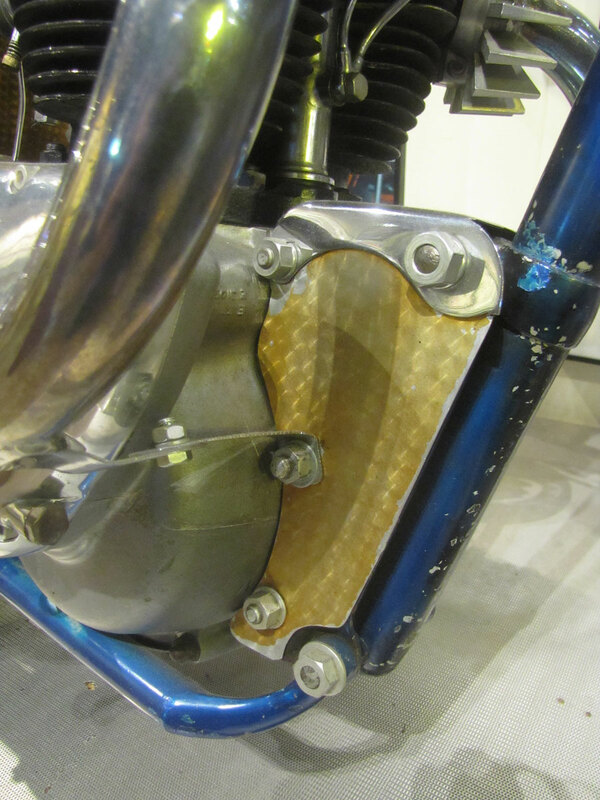 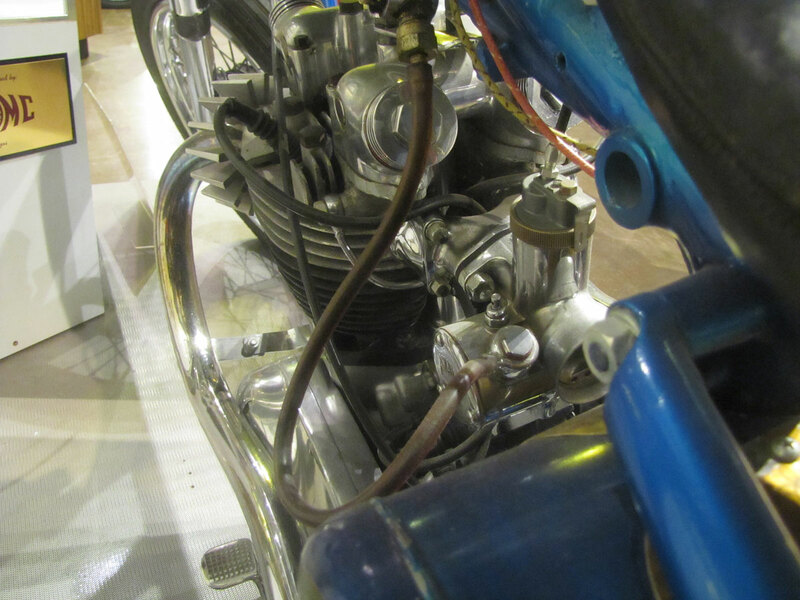 Removing the shapely Indian fuel and oil tanks, he installed a smaller gas tank. 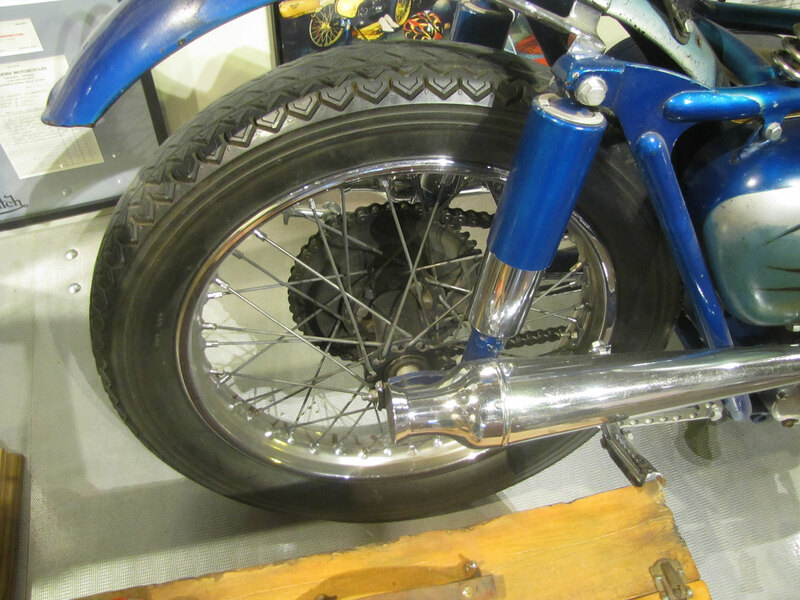 He added upswept exhausts and taller handlebars atop long risers. 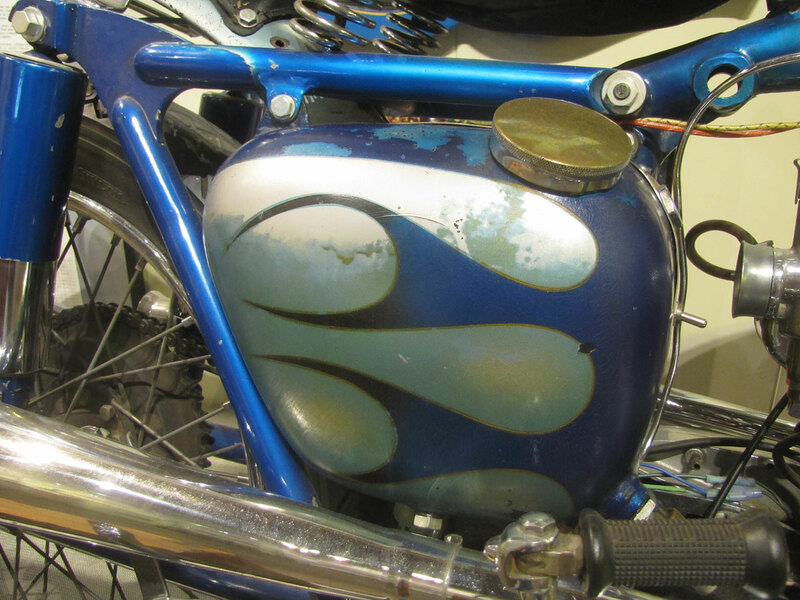 He painted and pin-striped the gas tank. 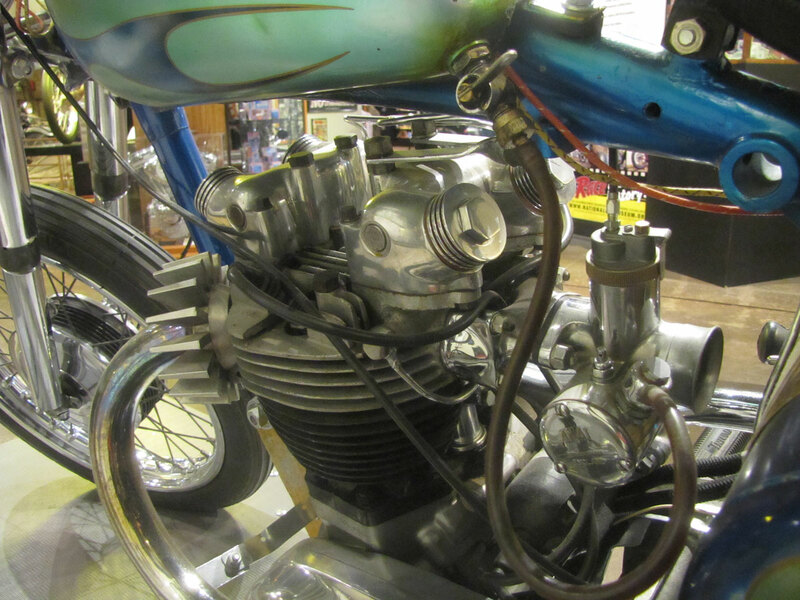 The story goes that he street raced it, crashed it, rebuilt it over and over. 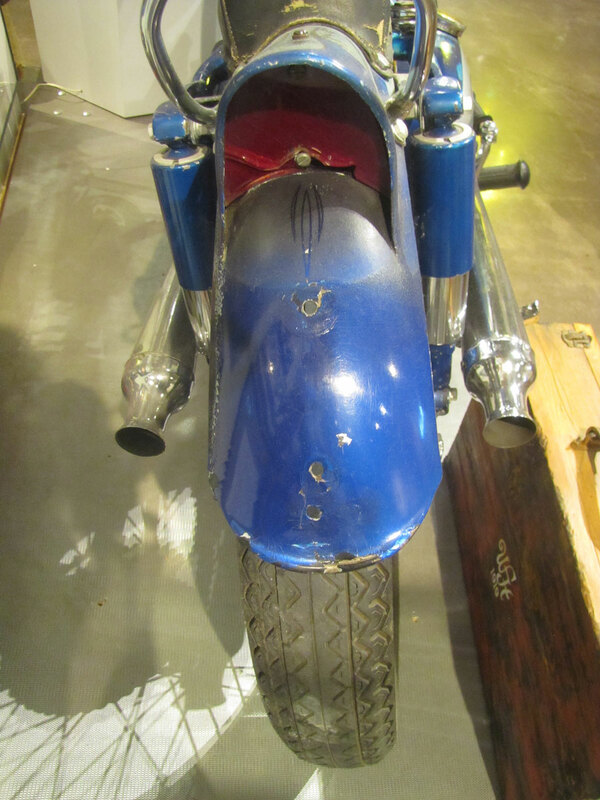 Liking what they saw, he did similar types of custom modifications to his friends’ bikes as well. 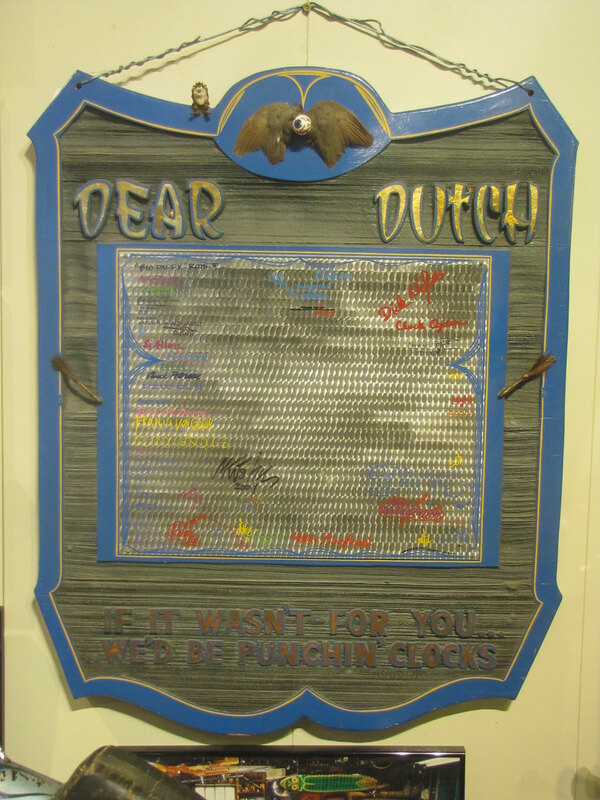 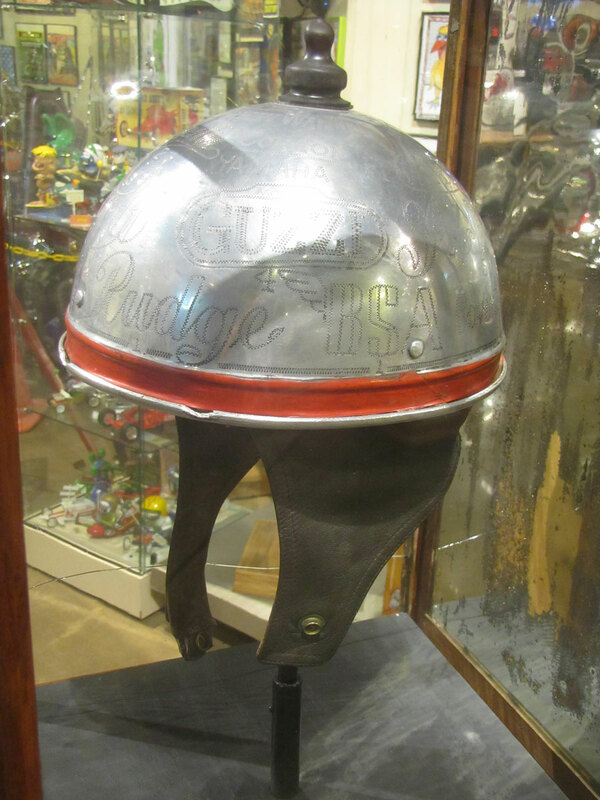 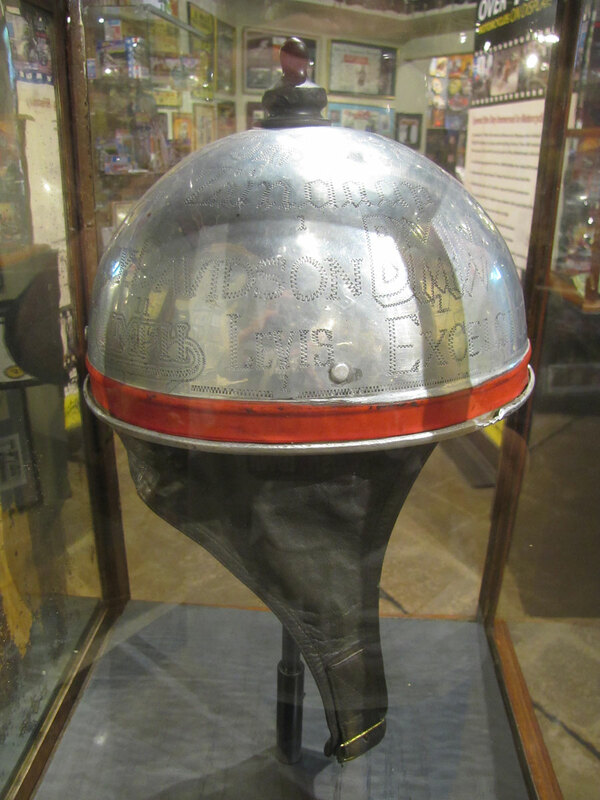 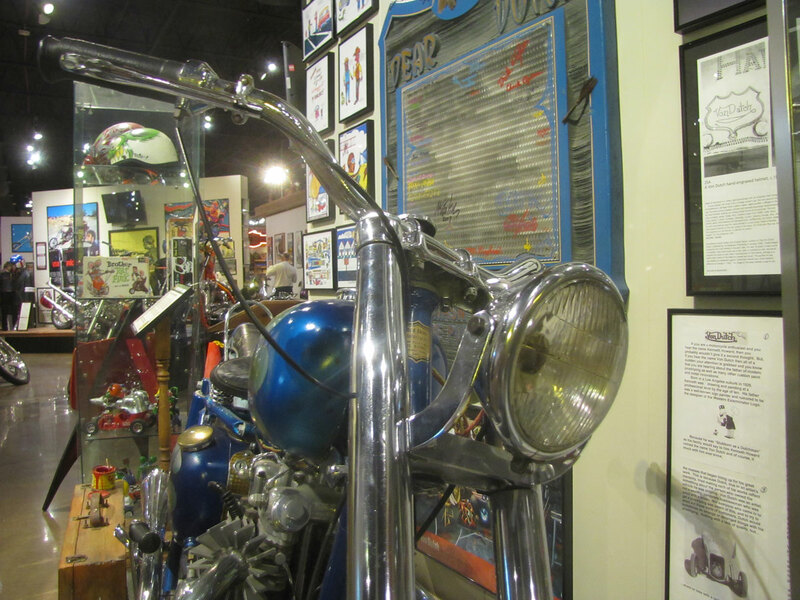 There may have been others detailing their bob-jobs that way in 1946, and some car builders were likely an influence, but evidence points to Howard, aka Von Dutch, as a spark for a revolution in motorcycle style. 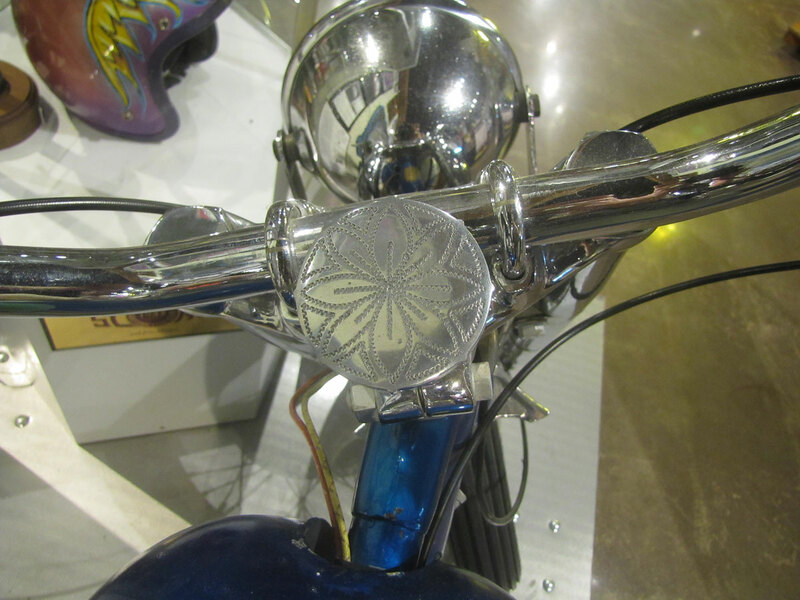 And we are still living with the impact and inspiration of his work. 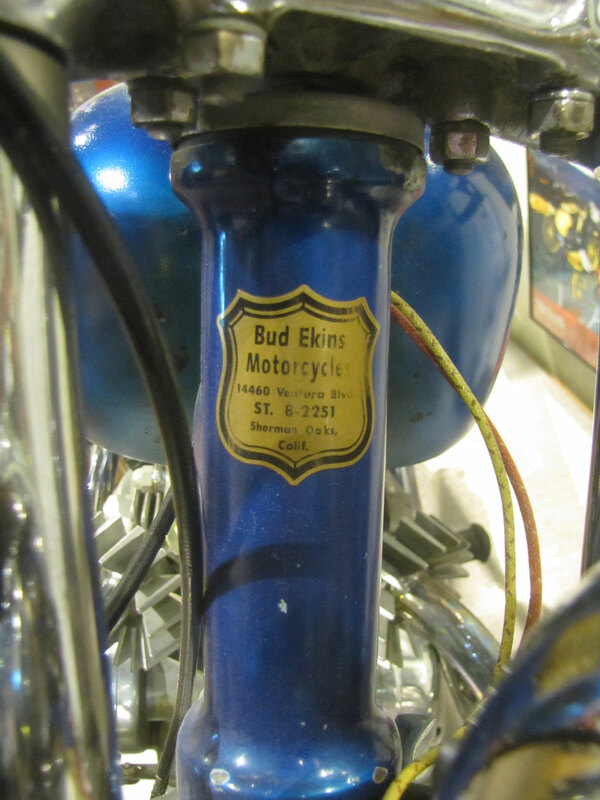 Luckily, many machines he painted decades ago retain his work. 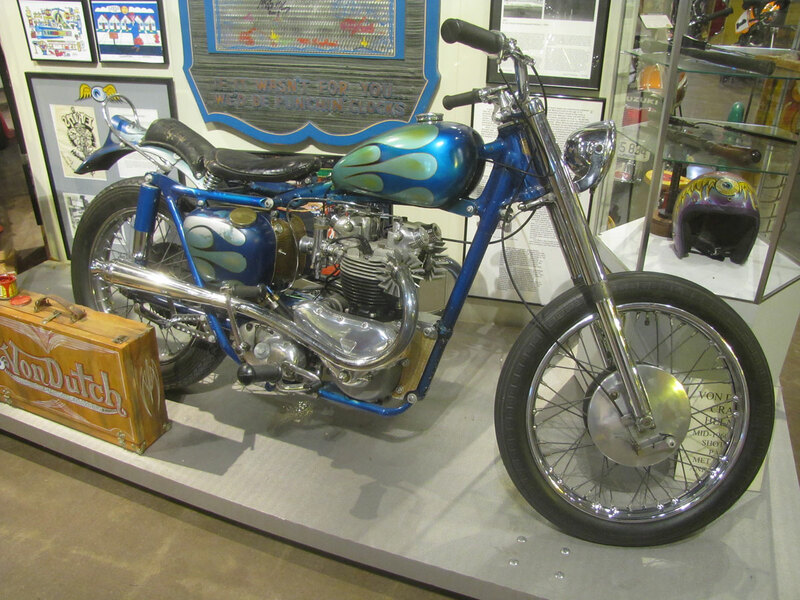 This 1958 Triumph Thunderbird is typical of Von Dutch’s work for customers in the 1950’s and 1960’s. 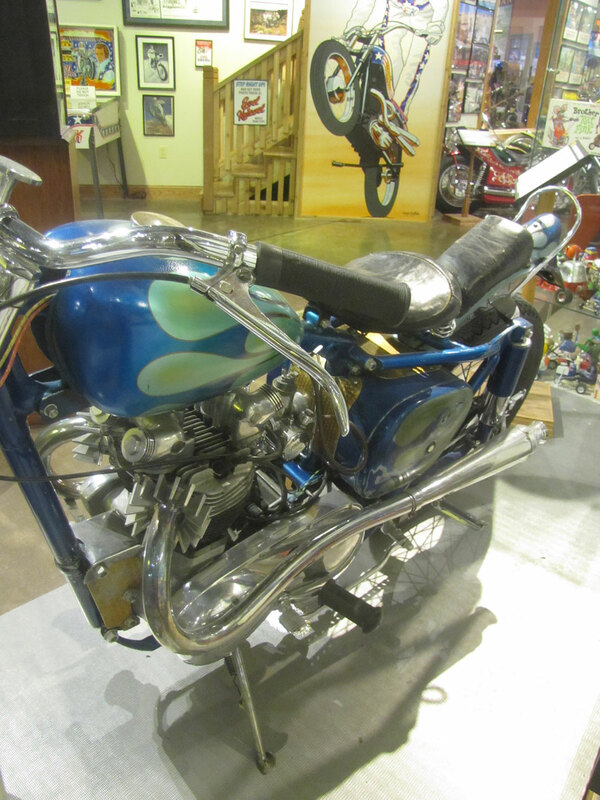 It was created when he worked with the famed Bud Ekins to build modified motorcycles in Los Angeles. 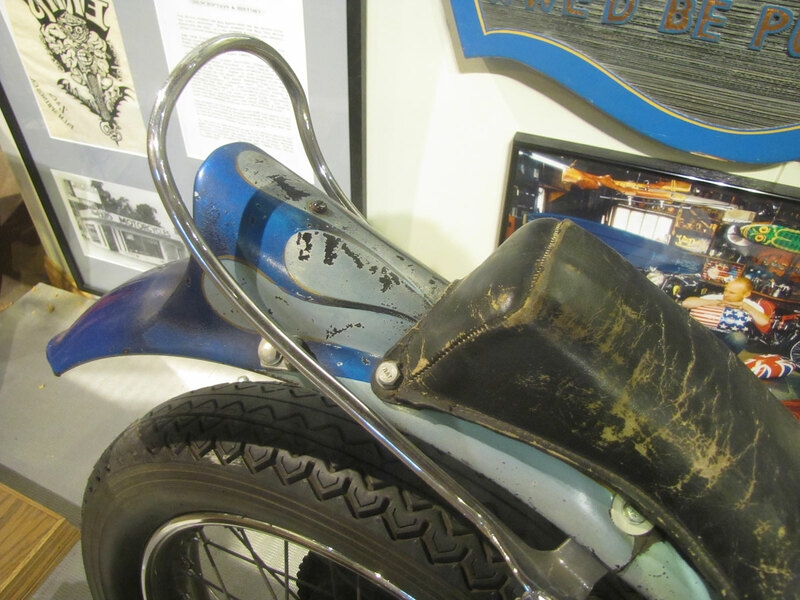 The leather Bates saddle with pillion pad is typical as are the small tank and narrow rear fender with sculpted custom tail light. 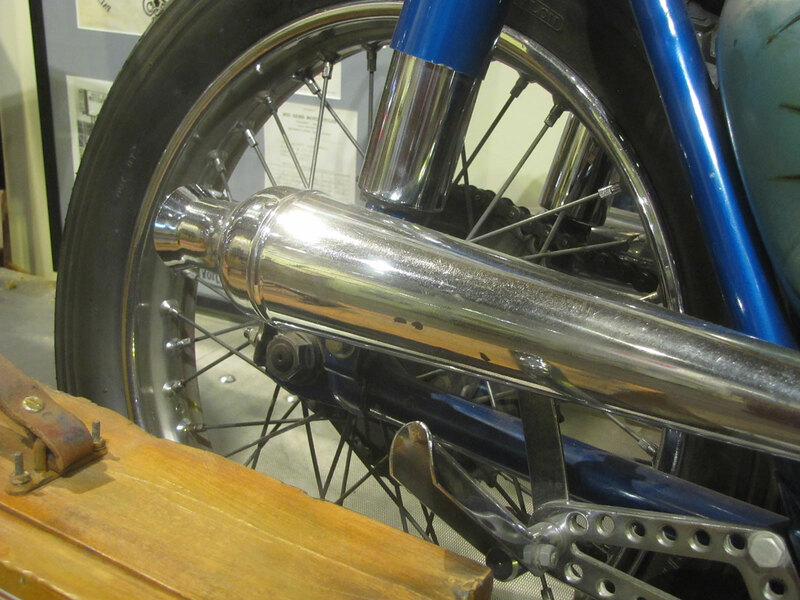 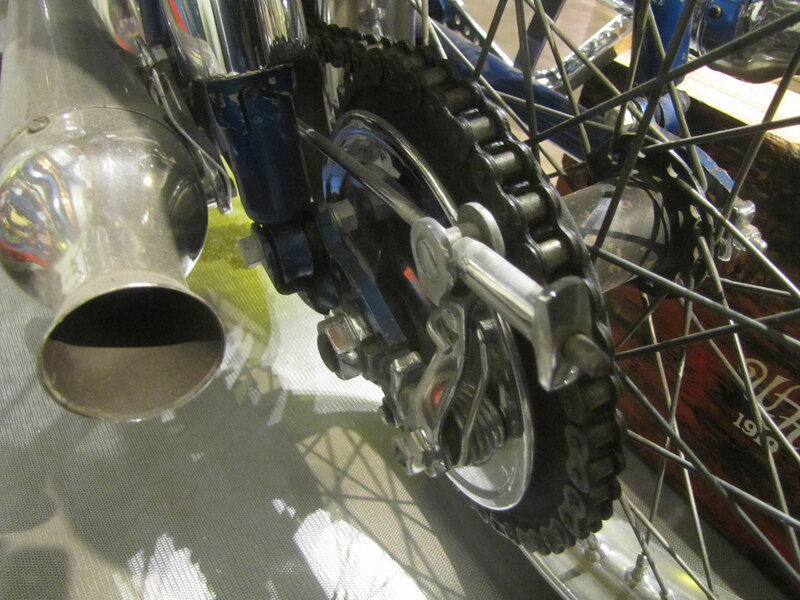 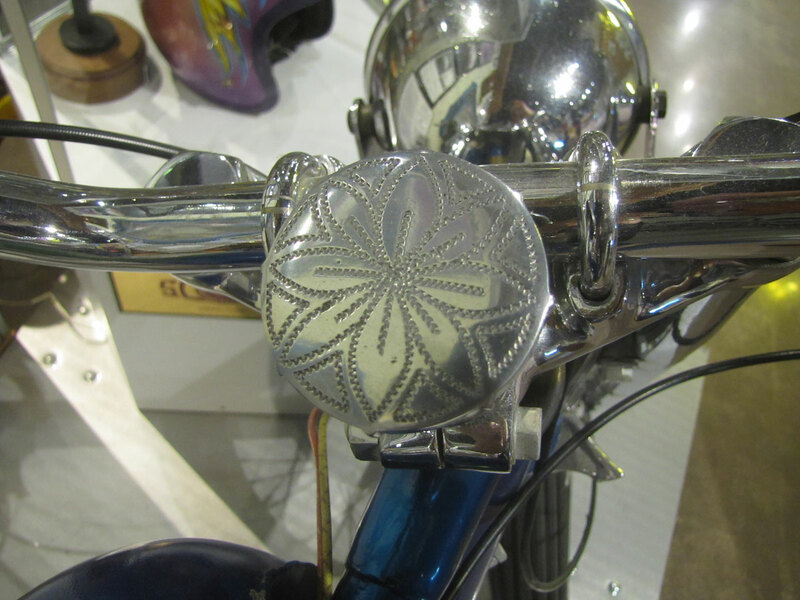 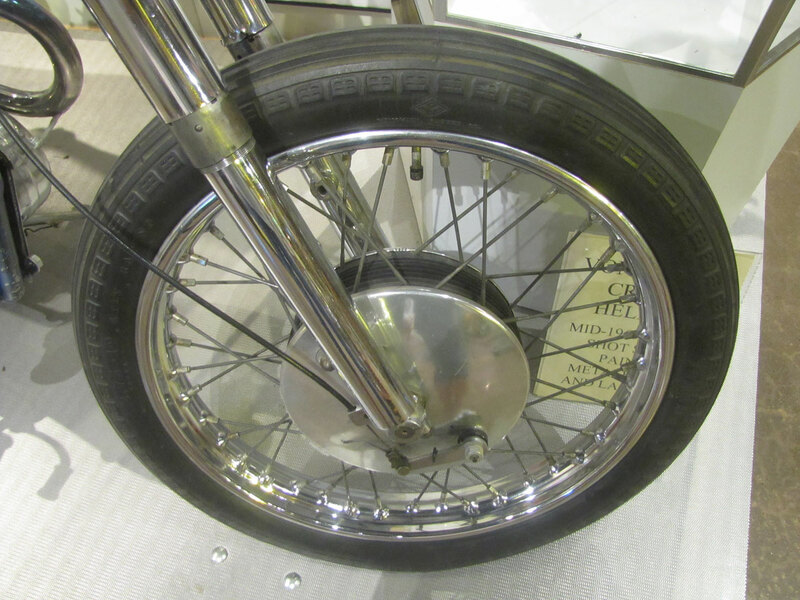 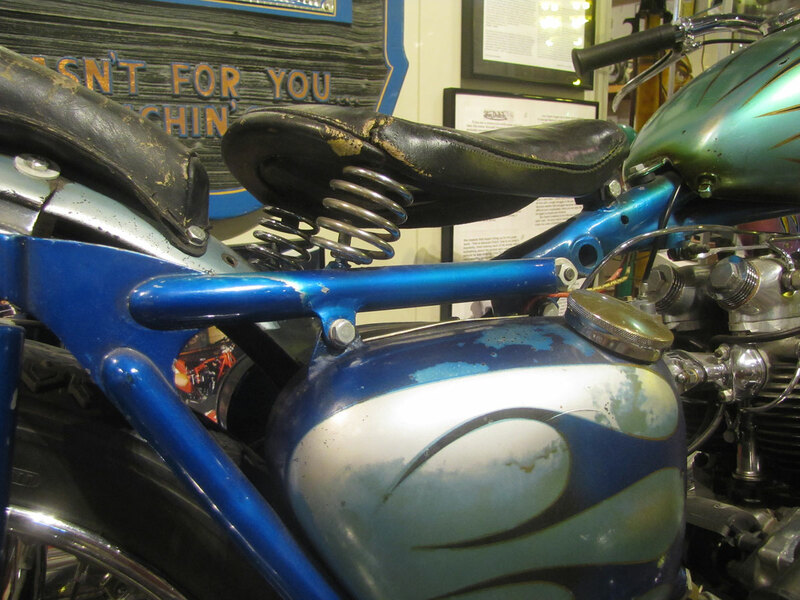 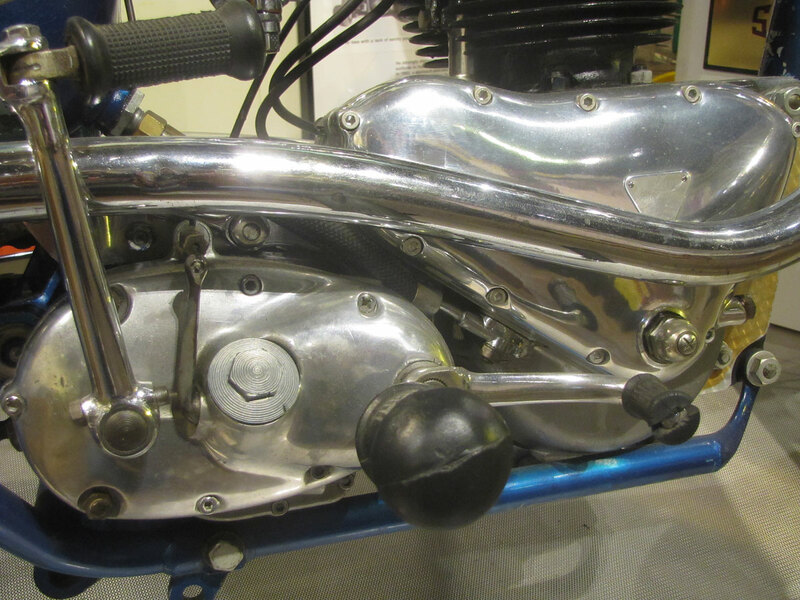 The fork is stripped of most lugs, chrome plated and a perch style headlight bracket is used. 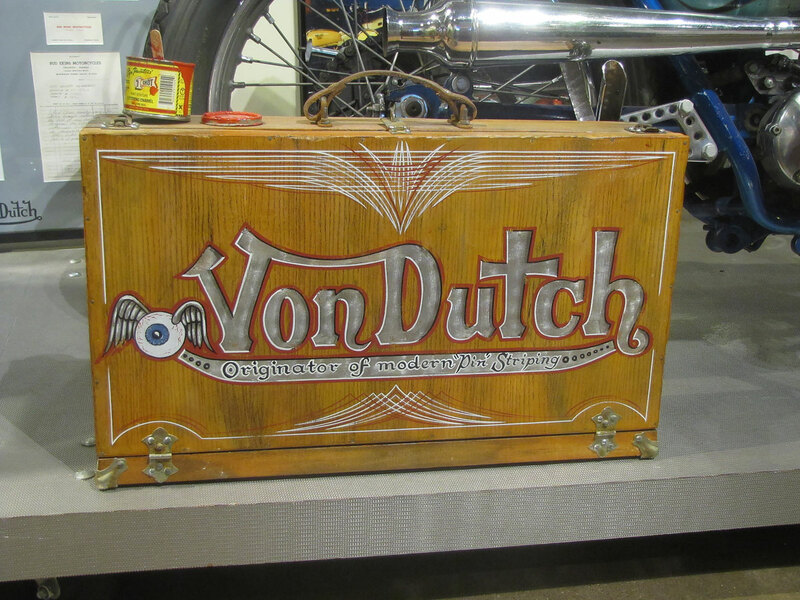 Where some would go to a spool hub, Von Dutch ran with racers who knew the value of a front brake so the stock unit, polished, remains. 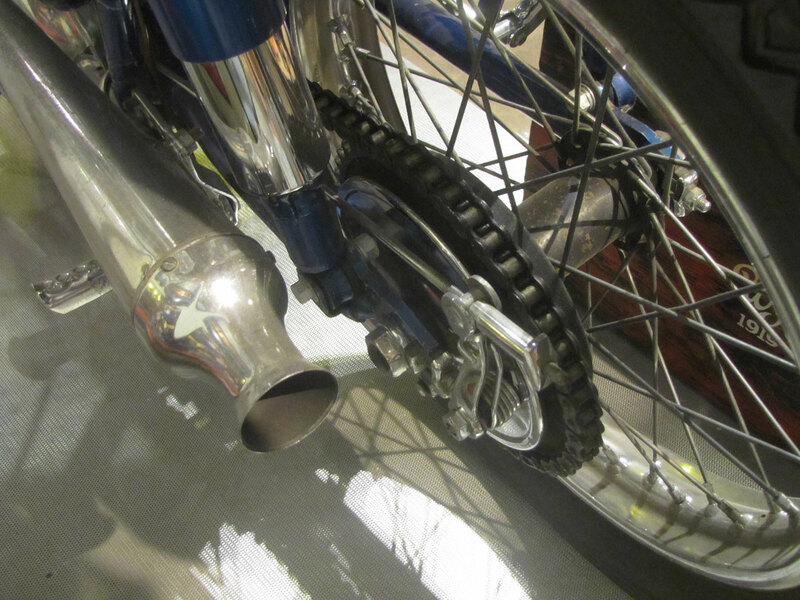 Upswept pipes make the bike light in appearance. 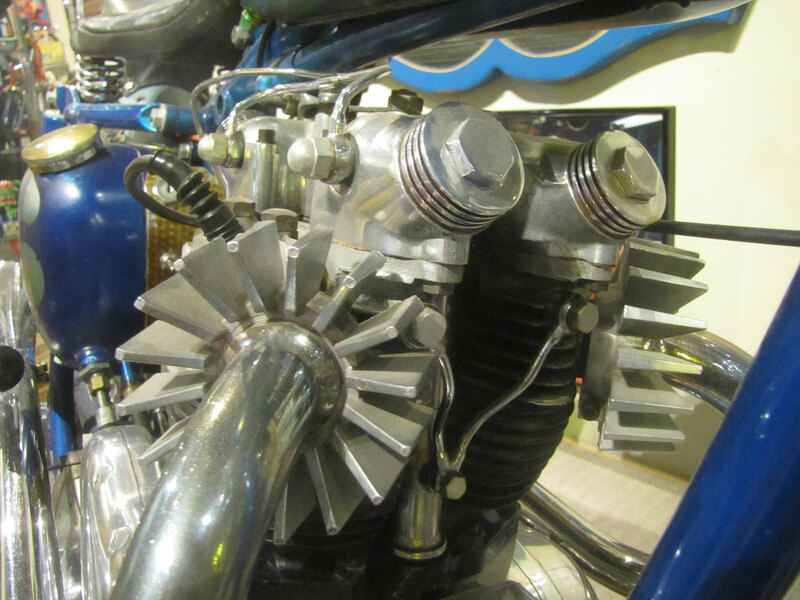 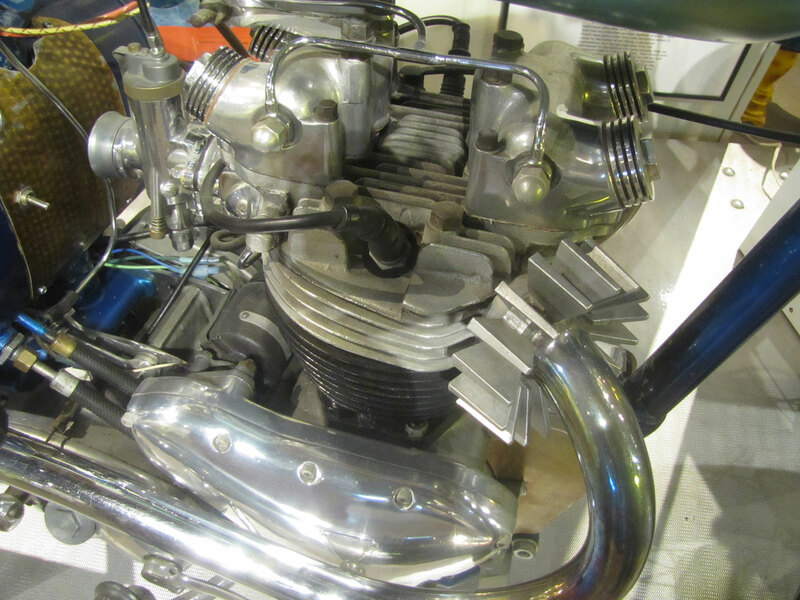 The polished engine with a few custom bits is on full display beneath the small tank. 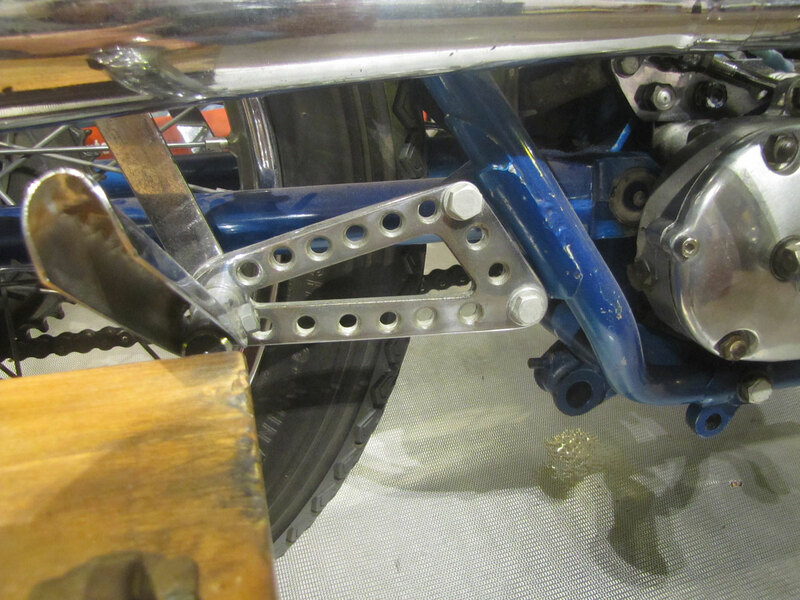 A few parts are drilled for lightness. 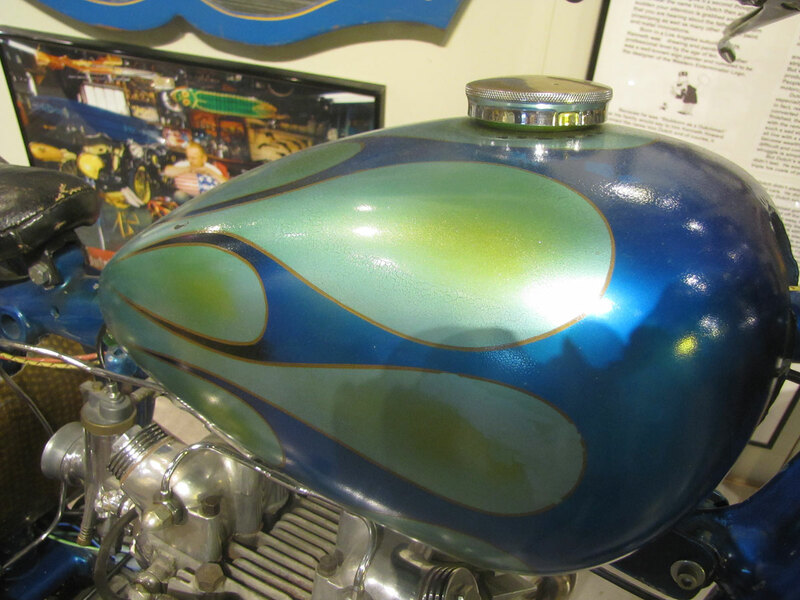 Some refer to this paint job as “scalloped,” others call it a “seaweed” design. 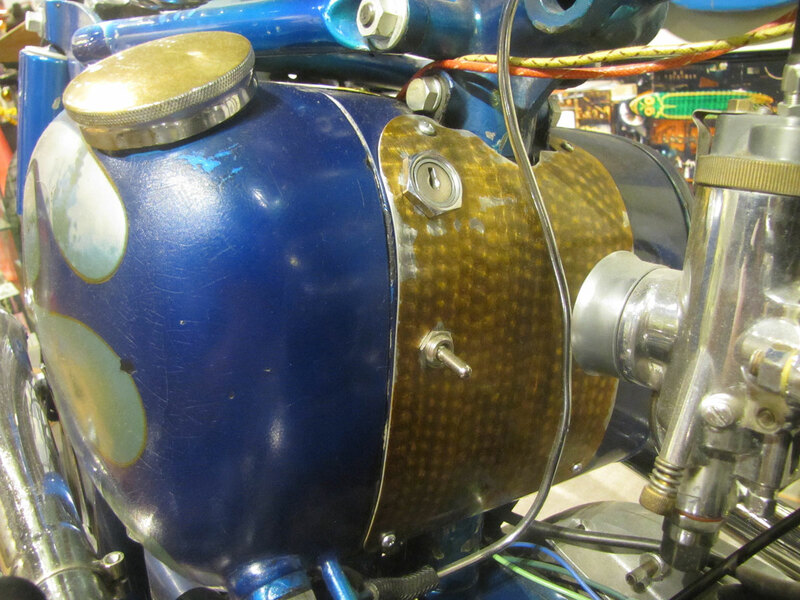 Either way it’s quite understated and nothing like many typical red, orange and yellow flame jobs on black that soon followed. 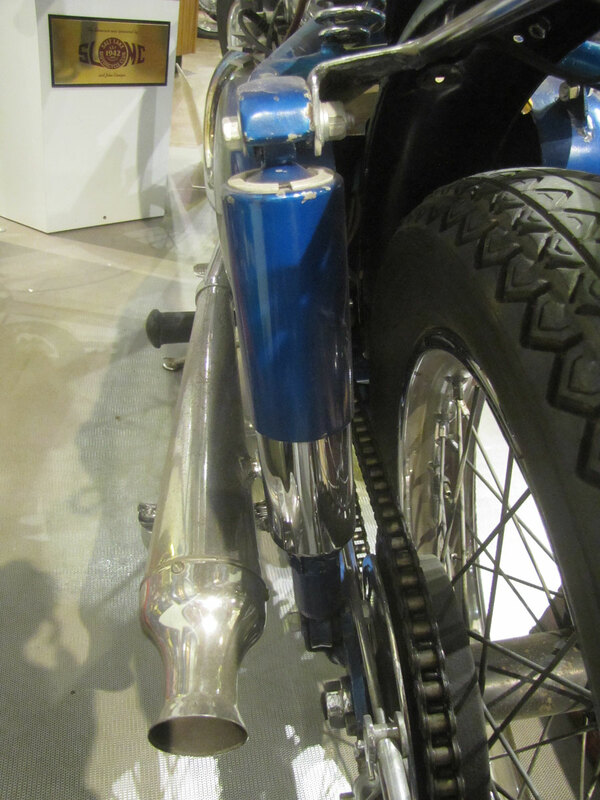 The reversing green/blue metallic scheme is understated and timeless. 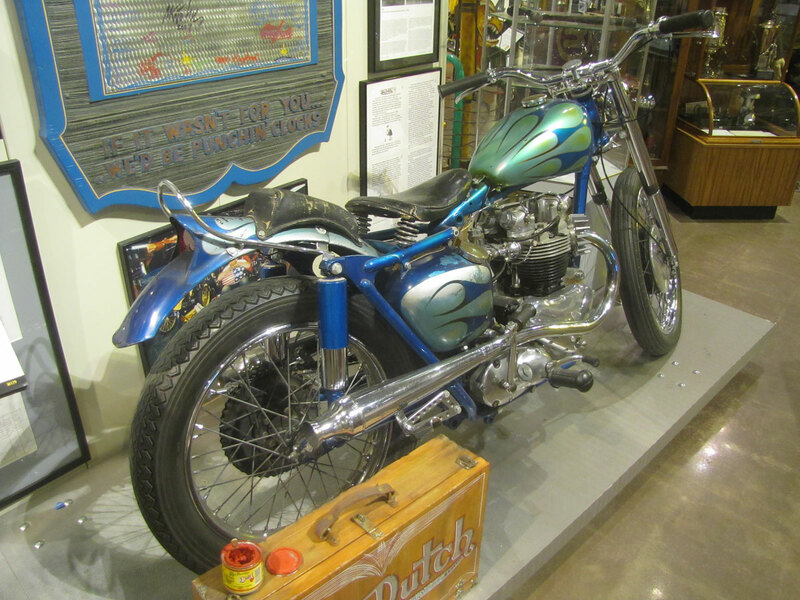 While Von Dutch focused more on customs and bobbers than choppers, his style influenced generations of customizers of all types, still does today. 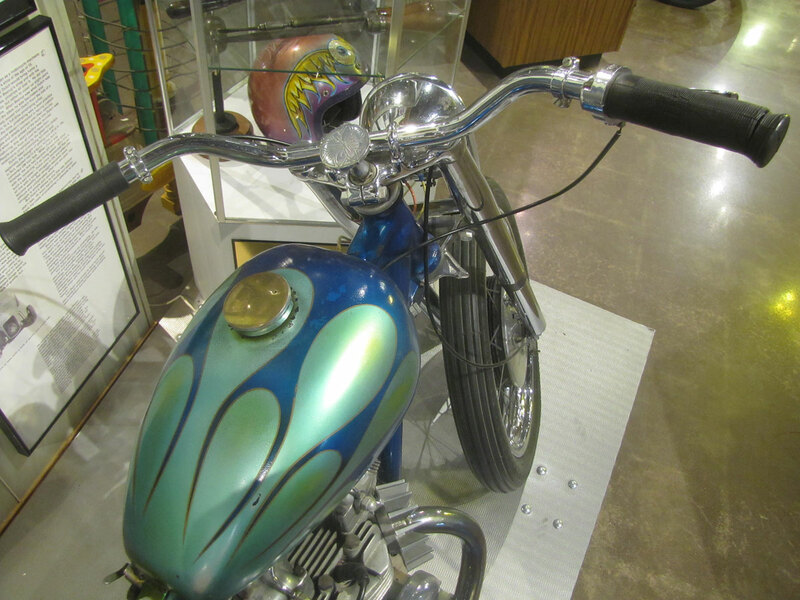 And you could say he’s one who started the style that evolved into the less functional, more outrageous chopper in the 1960s. 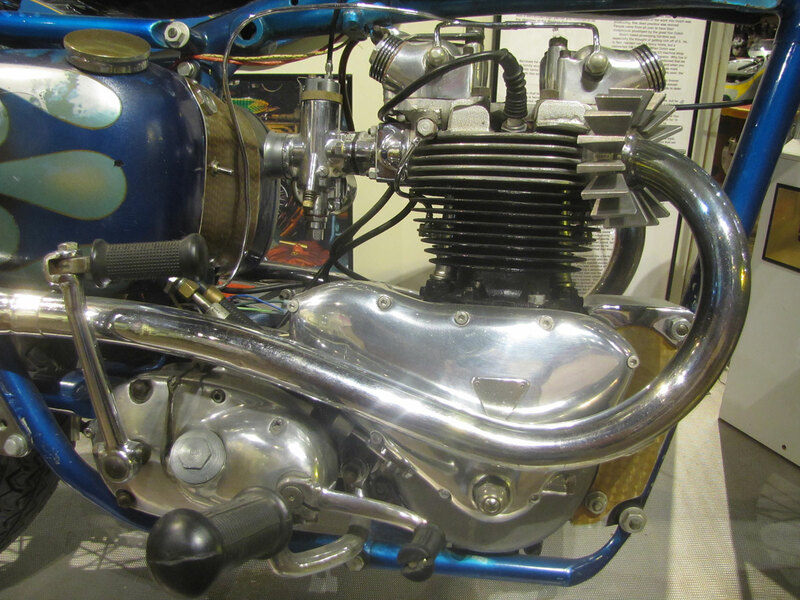 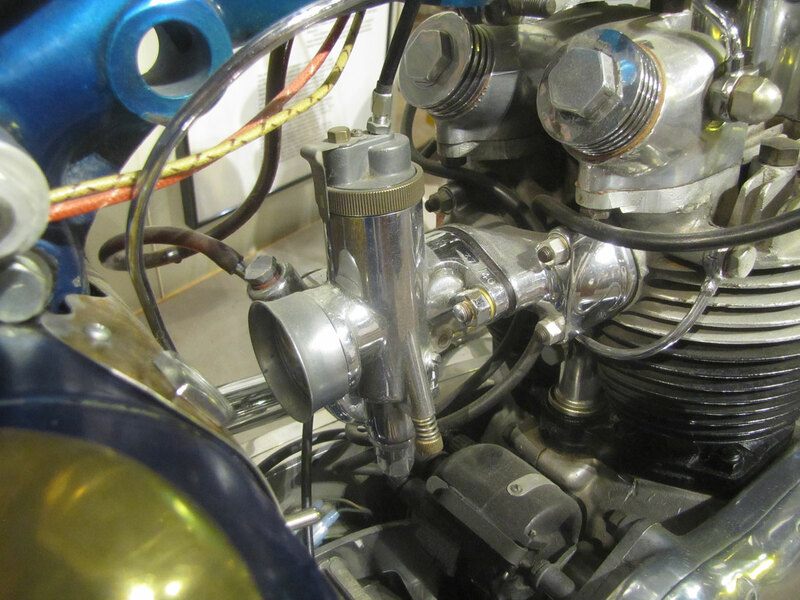 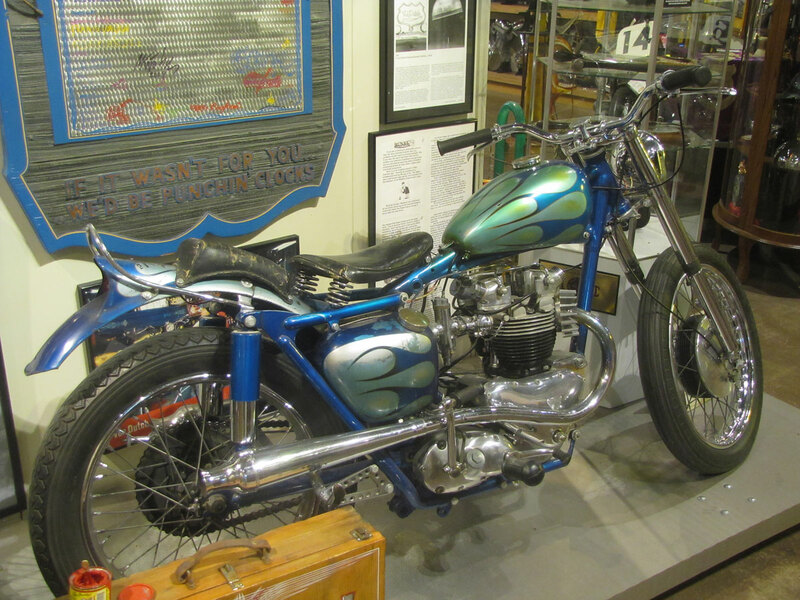 This Von Dutch Triumph is largely original, never restored. 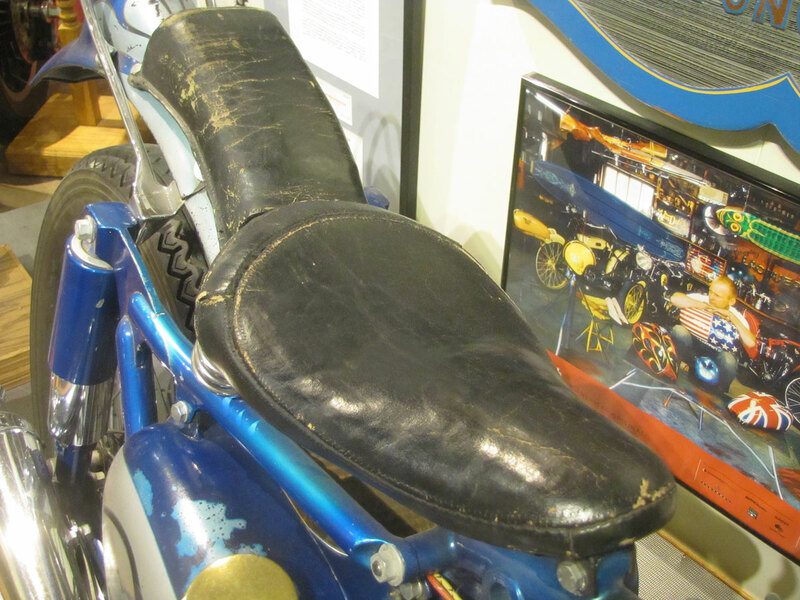 The paint is likely nitro cellulose lacquer and has therefore dulled a bit over the decades. 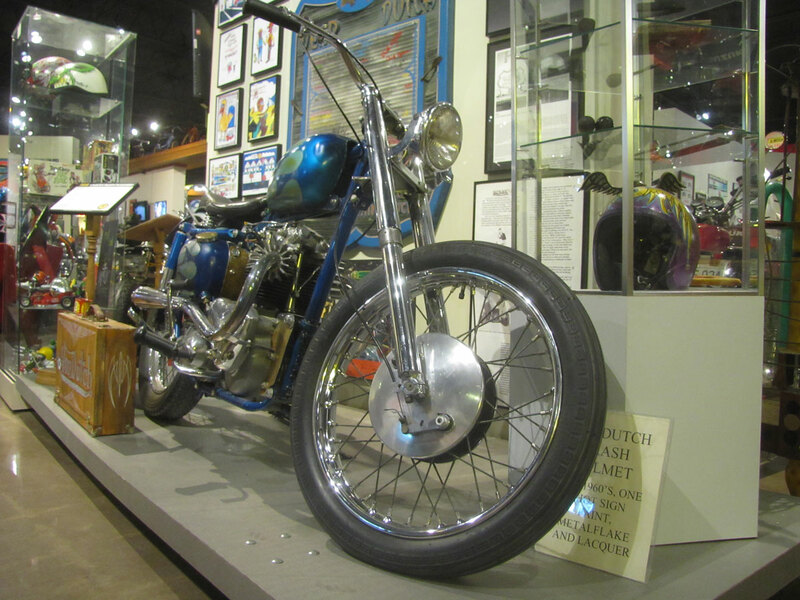 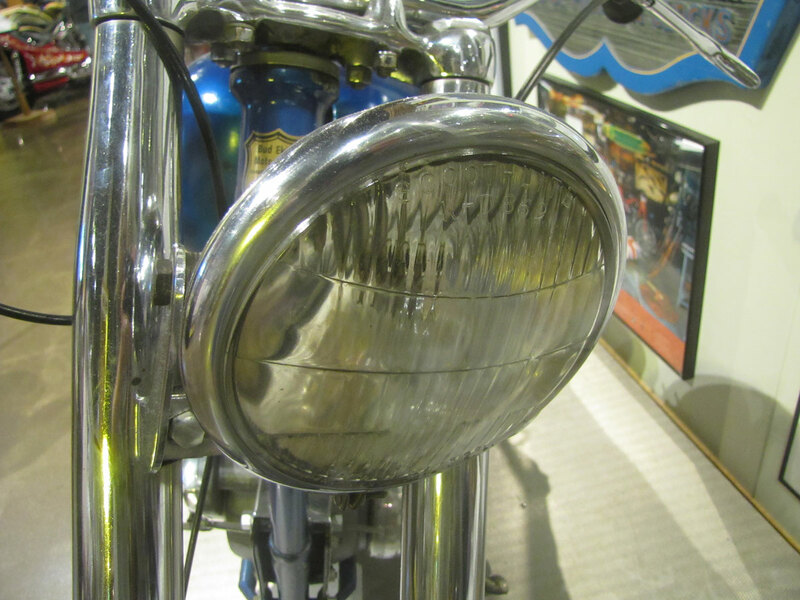 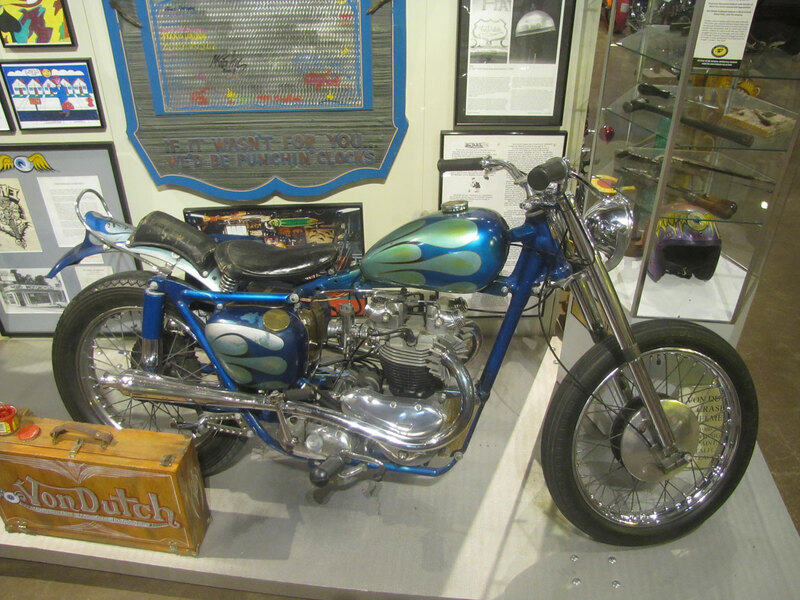 You can enjoy the Von Dutch Triumph and many other custom bikes from all eras when you visit the National Motorcycle Museum.